Mobilink jazz is one of the biggest telecom company in pakistan that is providing you with best coverage. 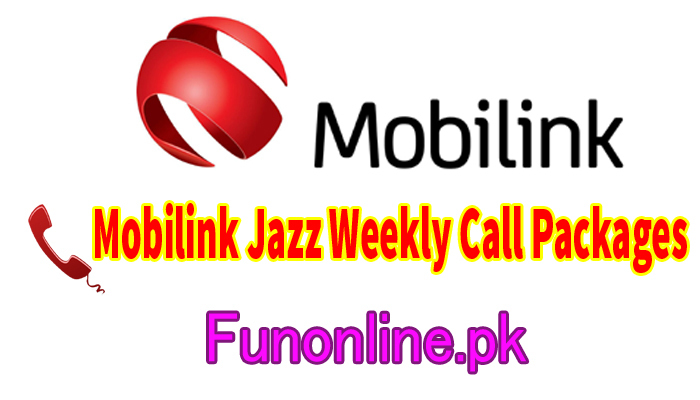 Mobilink jazz provide you with best calling experience without errors or hangout. Mobilink jazz have announced many call packages ie daily, weekly, monthly, 3 days and hourly call packages 2018. Mobilink jazz haftawar call packege 2018 is awesome that it will give you 700 Minutes, 70 MBs and 700 SMS. This amazing offer can be avail both prepaid and post paid users. For 7 days 700 minutes are enough that you can make call for all the days. This package also provide you with 70 MB internet that you can consume on surfing facebook, twitter, instagram, whatsapp and internet surfing. You can subscribe this wonderful jazz weekly call package 2018 by dialing *407# from your jazz sim. If you did not like this offer then you can do unsubscribe this package by dialing *407*4# from subscribed sim. Other information related to this packege you can know by dialing *407*3#. Jazz 7 days call package 2018 can be avail in just Rs. 75 including tax. This offer will valid for only 7. All companies offer different call packages to their customers as well jazz have announced the best calling jazz pkg 2018. Jazz is biggest and oldest cellular company in pakistan that have millions of customers so jazz have to introduce latest packages to make their customers engaged every day so jazz have invented many jazz packages for their customers. Jazz haftawar call pkg details are given below in this article.